Yoo Baek is a former idol group member. He is now a popular singer and actor. He doesn't try to be a good guy to attract people. Yoo Baek is self-centered and he is brutally honest to others even if it hurts them. He makes big trouble for himself and travels to a faraway island to getaway. There, he meets warm people on the island including Oh Kang-Soon. She runs a small supermarket and also dives to pick abalone and sea mustard. She is physically a very strong woman. "Top Star Yoo-Baek" takes over the tvN's Friday 23:00 time slot previously occupied by "Big Forest" and followed by "Ugly Young-A (S17)" on February 8, 2019. First script reading took place September 5, 2018. 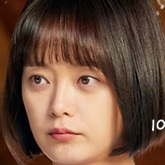 First still images of Kim Ji-Suk and Jeon So-Min in the drama series. No name Mar 12 2019 3:03 am Can somebody explain what kind sorcery is this Oh Kang-Soon was able to watch the live broad cast of Yoo Baek receiving an award? The Island was really isolated also Kang-Soon said that they like living in a simple world without Internet? DA Feb 22 2019 7:38 pm This is actually a really good drama comedy, the story line is quite believable. I love the plot on the issue of dementia and how it affects the family. Although some of the themes are serious, but they managed to deliver them in lighthearted ways. I'm surprised that this drama doesn't get more ratings. As for me, I'm definitely recommending it to my friends. @Nana Feb 19 2019 10:38 pm It was intentional. In Korea, they also have different accents. Zoe Feb 18 2019 9:06 pm This Drama doesn't deserve Low Ratings I hate the Writers rushed it, the phasing was going too fast perhaps Season 2? 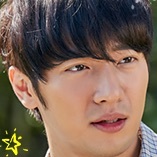 Am bothered where is the Grand Ma of Kang-Soon in the party at episode 11? Also Kang-Soon never express & said she loves Yoo Baek? There is a lot of mystery going on with the Hourglass & the Captain of the Boat I really don't get that? I was happy this drama bought back the Bromance between Heo Jeong-Min & Kim Ji-Suk since they have worked together in Another Miss Oh. Also seeing the funny side of Lee Sang-Yeob was really hilarious cause I really hate his character in While you were sleeping. The Drama gave me a lot of giddy feeling am really happy that Kang-Soon pursue her Dreams. Nana Feb 15 2019 3:09 am this Drama was funny, heart warming & full of lessons the only thing that annoys & awful is the way Jeon So-Min speaks I don't know if it was intentionally but it was really annoying & cringey every time she speaks I feel like hearing a chalk creaking sound. Maria Feb 14 2019 3:55 am Actually i watch this drama because have no choice to watch.... And i dont regret it.... This is really funny and warm hearted drama. The chemistry between the stars is really great... Jeon somin and kim jisuk oppa chemi makes my heart flutters..... The food really makes me hungry everytime i watch this.... One of drama that i will rewatch....8/10 cuz i have to wait a week for 1 ep and too short ?? i hope we can get season 2. The rating is not bad considered this drama was airing on TV cable...????? Rebecca Feb 06 2019 11:19 am Ayy the ratings don't do this drama justice. I'm normally the type of person who always places ratings and the writer above everything else, so if the ratings weren't amazing and the writer is someone I don't recognize from a previous drama I enjoyed, I normally don't end up watching the series. However, "Top Star Yoo-Baek" is an amazing, amazing exception. I started the series because I read in the Korean newspaper that it was a fun, enjoyable drama to watch, and I wasn't really watching anything at the time–and this was the best decision I made for a kdrama by far! 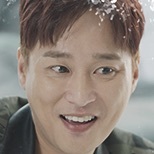 The drama is light, keeps you on your toes (but not in a makjang, annoying way–it's more like a "oh my gosh why is this drama so perfect and how does it manage to make me feel so cheery and happy??" way), and has a super stellar cast! The writer truly makes sure that every single character is unique, has their own entertaining and touching backstory, and is very much developed by the end of the series. I am so happy with everything about the drama, from its beautiful (and adorable!) soundtrack, jaw-dropping scenery, and impressive acting from its cast! 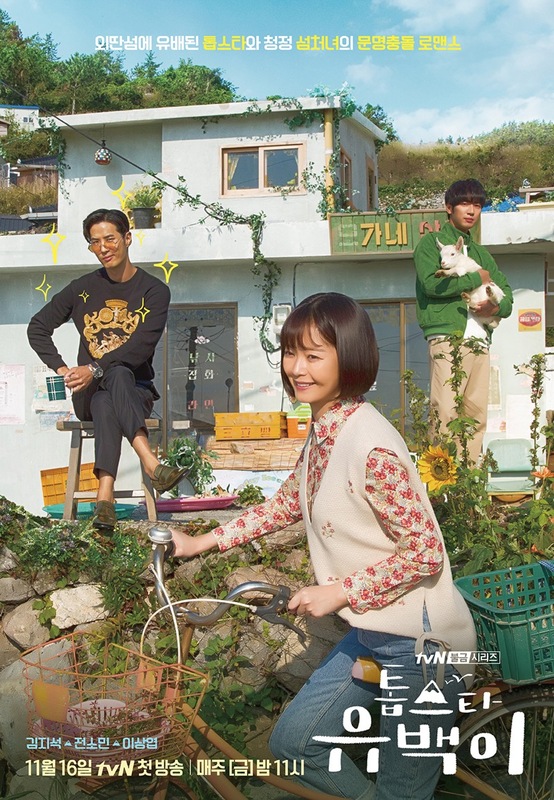 I recommend it to anyone who is looking for a drama that is both comforting and delightful, and I really hope you give it a try! Adelia Delfin Feb 03 2019 10:51 am It was a good one, i just wonder why this drama is short unlike the other, at least they have 16 episodes. I started to like the main actor, he's good. And i find it very cute the way they speak their native accent. I recommend this drama to those who wants to just laugh and relax. Nagini Feb 01 2019 6:37 pm Highly recommended drama! So refreshing, funny (ep 7 nailed it! ), and natural acting skills. Gun-bae!!!! ren Feb 01 2019 10:58 am @Dr burn: Her name is Nam Bo Ra. yi Jan 27 2019 12:52 am Best drama with actors who can all actually act, not just pretty faces, and the supporting cast is great too. Lovely story, life lessons, and beautiful happy endings for everyone, best drama of 2018-2019, 100% healing drama. Aivilo Jan 26 2019 6:49 pm Great story, good job all the crew member. Love this drama.? Dr burn Jan 26 2019 5:41 pm Who is the actress who plays the doctor who have crush on ma dol? Lilis Hairani Jan 26 2019 6:09 am Falling in love with this drama..daebak? Soona Jan 24 2019 12:23 am Top star yoobaek have great scenery n great culinary..
xyza wang Jan 23 2019 9:07 pm Best drama ever, make me laugh and cry. Very recomended, top star yoo baek have great actors, great plot, and great landscape of island. Top star yoo baek jjang ? Mihaulek Jan 23 2019 3:11 pm Not funny at all especially after 3 episode. Not comedy. Below average 4/10. Big dissapointment. kdramafighter Jan 21 2019 4:04 pm i love kim ji suk's acting.. but sorry i don't really like the female lead. so i decided to not watch this drama..
Jen Jan 19 2019 8:41 pm I love this drama, it's healing, a little sad, but a lot of funny. The whole cast is great, and have amazing chemistry. Seriously Jeon Somin's chemistry with Kim Jisuk is great and with Lee Sangyeob too, it's hard not to ship both. There is no crazy makjang plot going on or terribly awful evil character like most dramas have nowadays, this is a nice realistic story. Kang soon Jan 17 2019 10:22 pm Yoobaek! Madol oppaa!! Hahaha..its really good drama. And the island its soo beautiful! Vie Jan 16 2019 3:32 am Yoobaek sarangheeeee..really really love this drama,, 4 thumbs up!!! Vie Jan 16 2019 3:03 am Make me laugh and cry,, really really love this drama. 4 thumbs for Top Star YooBaek. Can't sleep waiting for next episode..
Riri Choi Jan 14 2019 11:17 am Dayum! 10 episodes? I want mooooore! Omg I really didn't expect this gonna be soooooo good. All the characters are awesome, very effective acting. It made me love Sang-Yeob as a good eccentric second lead (since I often hate him with his villian roles haha). A new amazing side of him. He should take more roles like this and I hope he will get a lead role soon for a Romcom. Marc Dec 17 2018 9:02 am I love this drama so much! I love the character building, the beautiful scenery of the island, and also their food! Each character have their background stories being told, so we can get to understand them better. I also love the flow of this drama, it's light, funny, not too much conflict between the characters. But unfortunately this drama only up once a week TT. Can't wait for the next episode. nhc Dec 08 2018 12:45 am I saw the 4 released episodes so far and i love the leads, kim jisuk as top star of land, jeon somin as island virgin, pure, and strong, and lee sangyeob as top star of sea. Love all the supporting characters too, yoobaek's ceo, staff and co-workers, and the islanders who all have individual personalities, are hilarious and warm. A funny, light, healing drama with beautiful island scenery, and mukbang with delicious looking foods they cook and eat every episode. Raf Dec 03 2018 7:33 am i love this drama its soooo funny........ anyone now where they film this drama????? wich island, its sooooo beutiful. Izumi25 Dec 01 2018 10:14 pm This drama is so funny...love itttttt!!! way0leto Dec 01 2018 9:14 pm I watch this drama just because of uri sangyeobi.. i don't really like somin in this drama... she kinda overacting when she speak in dialect.. emm.. but again.. this is just my opinion. Will continue watching this because of sangyeobi. Sominfan Nov 26 2018 8:03 pm This drama is soo refeshingly funny, its almost like a sitcom. The leads chemistry is also on point, all actors are really good at acting. Not to mention the island food are to dying for, its almost like a torture watching this drama on friday night while you are on a diet. If i want to summarize this drama is the drama version of "three meals a day". Its funny but also a healing drama. A must watch for sure! Friend Nov 25 2018 6:35 pm Why is there only 10 episodes??? Ahhh I want more!!!! Tibong Nov 22 2018 10:42 pm I watched first episode and its so great. wkwkwkwkw so funny damn somin style make me laugh every time she show up. Snow Nov 17 2018 1:12 am This drama so funny ? somin unnie good character ? fighting! ?? FV Nov 03 2018 8:22 am Looking forward for this drama! Those 3 leads were variety show strars! I expect alot of laughter, spontaneous, and candid moments in this drama! Noof Sep 25 2018 7:57 am Jeon so min can't wait to see you again ? It's sad it will aired just once ok ? YoAhIn lovers Sep 10 2018 1:08 am Waiting for Somin and Sangyeob to accept the role..
nhc Sep 09 2018 9:44 pm can't wait for jeon somin & kim ji suk chemistry. teriyaki Sep 05 2018 1:29 pm Lee Sang Yeob accept too!! Nani Aug 12 2018 8:17 am Cannot wait!!! Elizabeth Jul 14 2018 6:52 am 1 EP per week? !